There are many different visual images used to depict the forthcoming wedding. Churches, bells, brides and grooms, champagne with hearts etc etc. You will see these repeated over and over again in card shops, yet unless you pay top dollar you will not find one that has an actual photograph used, it will be computer generated graphics which are bland and two dimensional. Our corporate ecards give you a 3d image that incredibly life like. Some look so tactile you feel as if you can reach into the corporate ecards and touch the items you can see. This description certainly applies to this sublime Wedding Bands ecard which has two platinum wedding rings set against a white background. 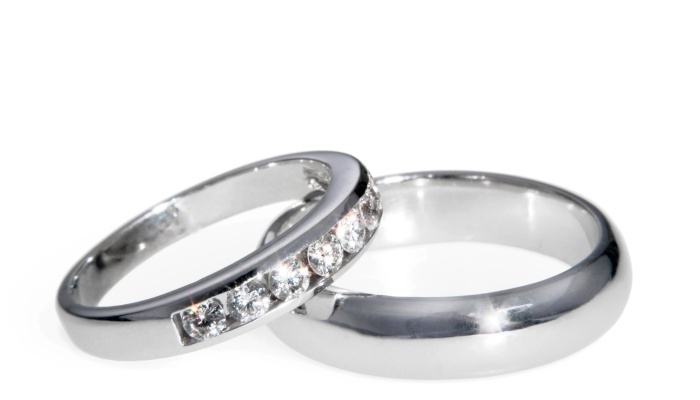 The grooms ring is plain yet strong looking, the brides is set with glittering diamonds and is lying across the groom's ring as if it is snuggling in. simple, symbolic but incredibly beautiful, this is a lovely ecard to somebody getting married, and the ideal solution if you have been struggling to find a card for a work mate who is about to say I Do. You can add your own personal message too if you want to your e cards, which will mean a lot to that business relationship of a colleague or client. Check out our large range of Christmas ecards for business if your business wishes to make a big impact in your holiday marketing this Christmas.